There always seems to be a home project going on around here. 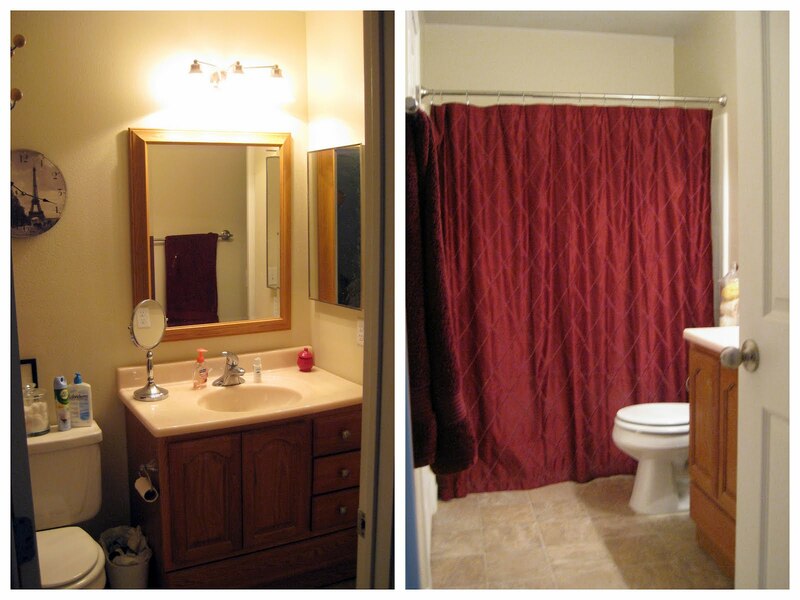 Our latest was redoing our guest bathroom. Nathan did all the hard labor, and he did a fabulous job at that! 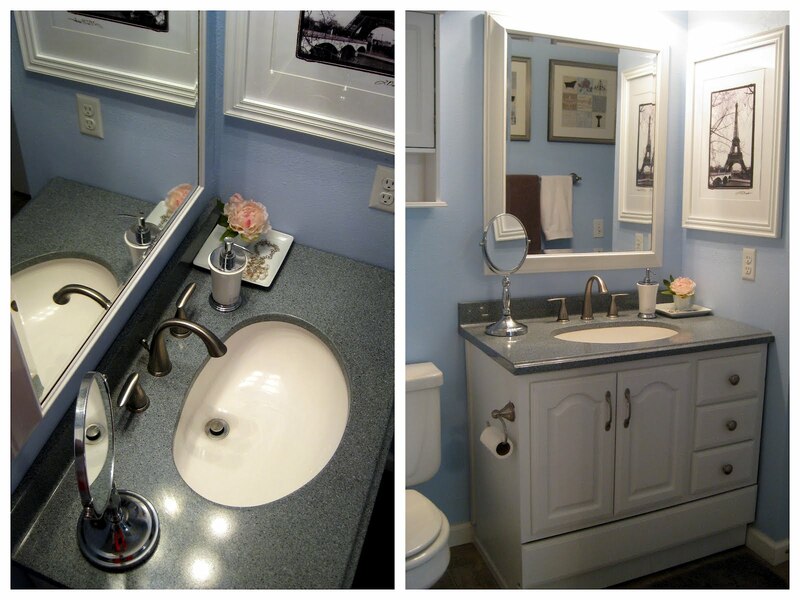 Instead of buying a new, white vanity we refinished our existing vanity. I love all the storage it has, so I was happy to keep it. Nathan painted it white, and we only had to purchase a new, gray counter top, sink and faucet. 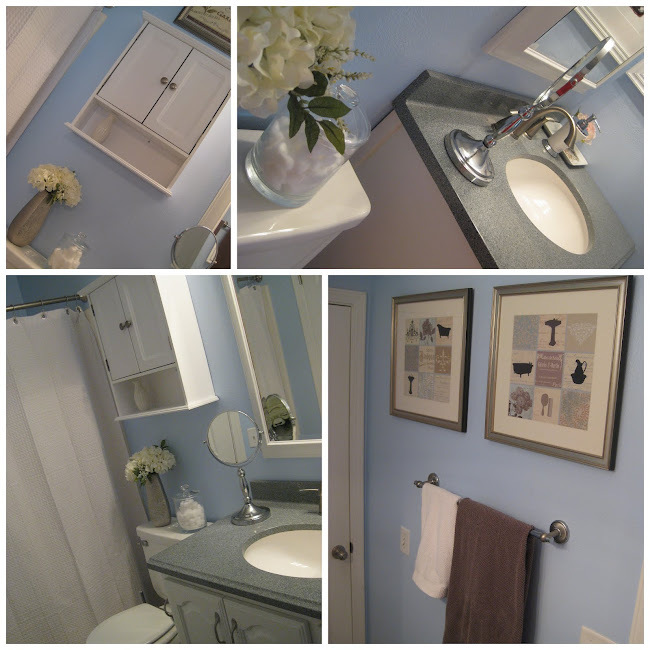 We painted the neutral walls a pretty blue, and I love how it brightens up the little space. 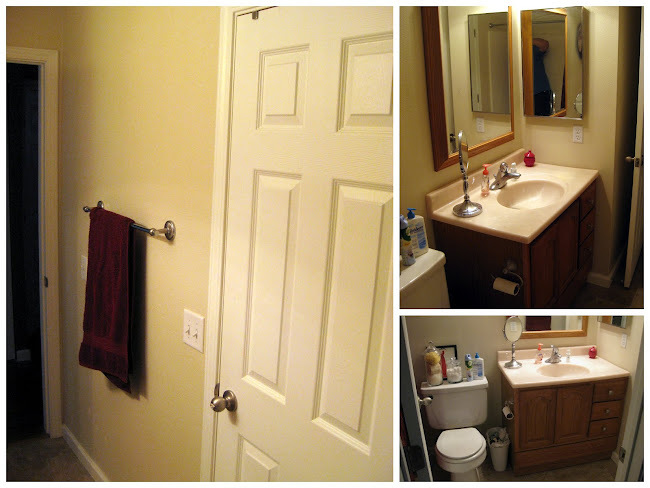 We hung a cute little medicine cabinet above the toilet. My favorite is all the pretty pictures we hung. We kept with the French theme we had before, so all the decor is a little Parisian. Love. 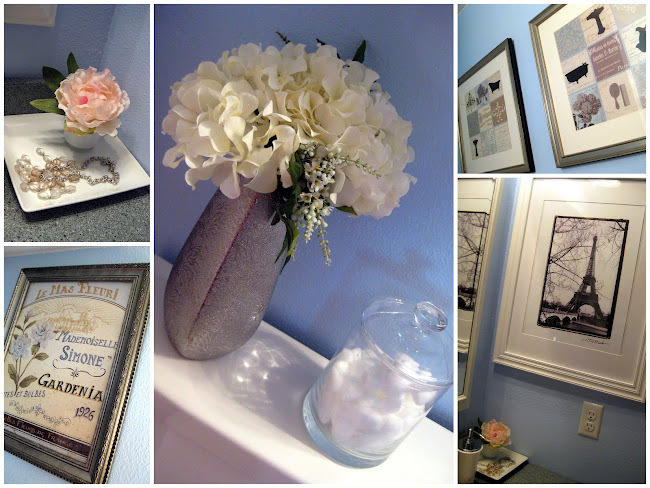 We placed a few little accessories around, yet I still need some to decorate the shelf in the medicine cabinet. Now this space just makes me happy. wow! that looks beautiful and so modern/chic! I'm jealous! I love it! The artwork is a beautiful touch.